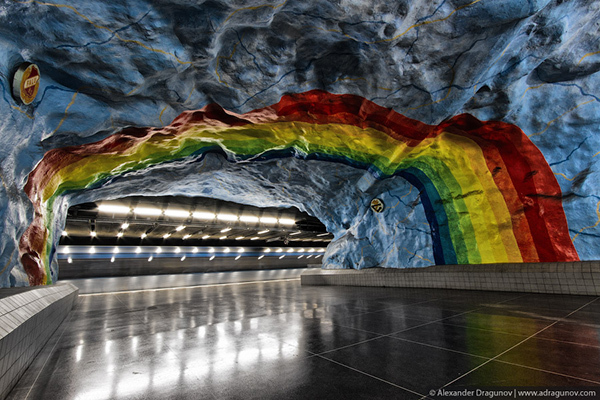 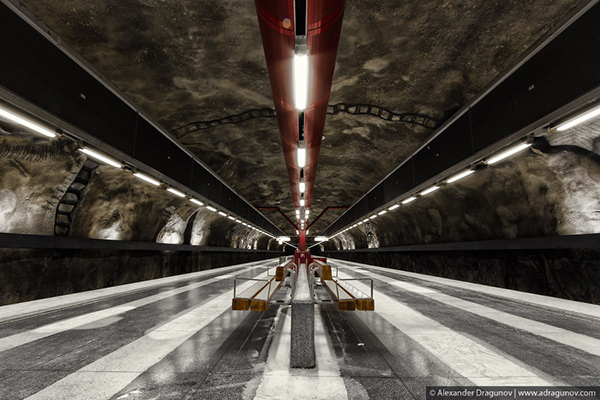 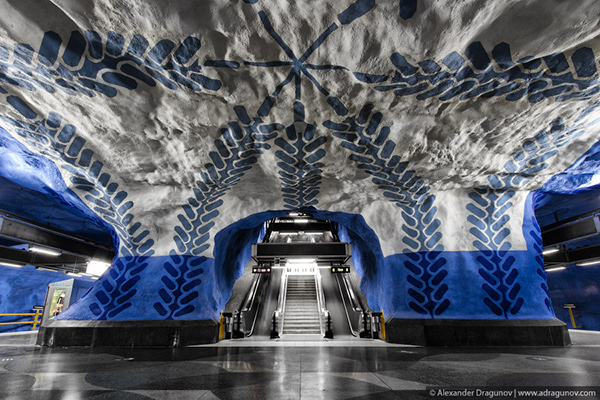 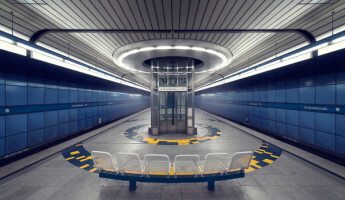 Swedish photographer Alexander Dragunov has an eye for architecture and masterwork for a muse, the Stockholm Metro. 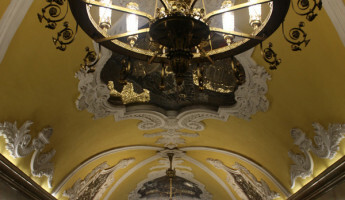 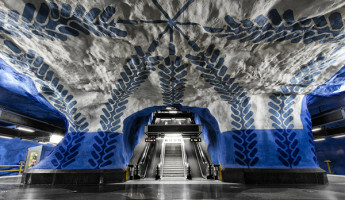 These stations may comprise the most beautiful subway system in the world, one considered to be the longest art gallery in the world. 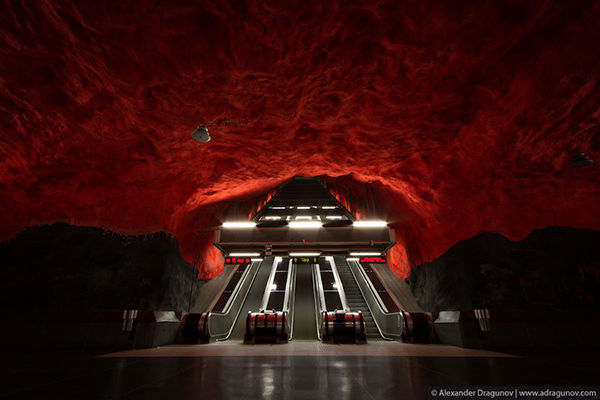 The stations of the Stockholm Metro feature exposed rock forming the ceiling and walls of these man-made tunnels. 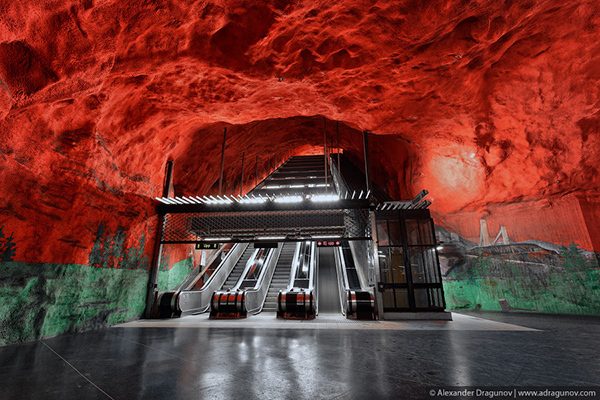 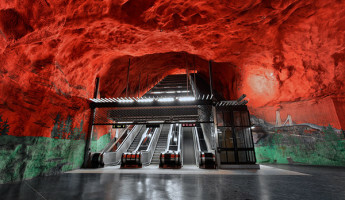 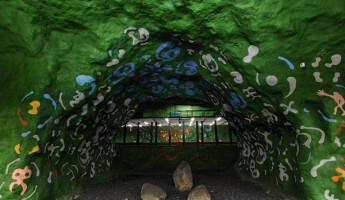 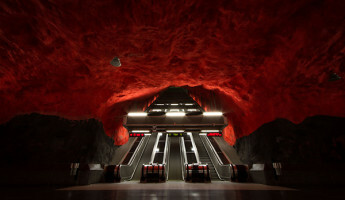 These rock caverns are then painted bright, varied colors that create a wondrous underworld environment for Stockholm’s commuters. 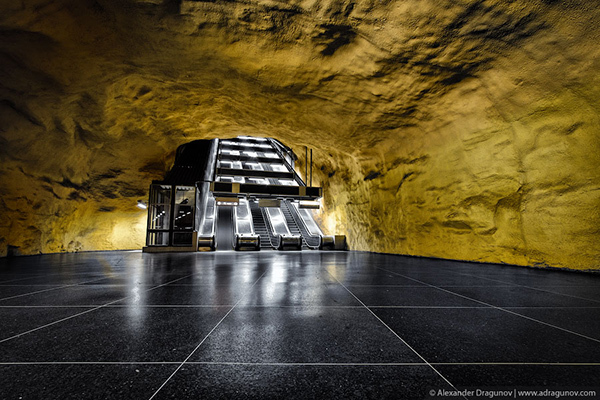 Dragunov studies these rock contours carefully, setting up his camera and waiting for a brief moment of silence where he and the station are alone for only a moment. 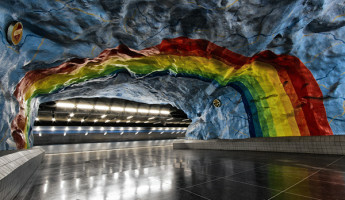 The resulting exposures are breathtaking, awe-inspiring and artful, the kind of thing which would make the perfect coffee table book. 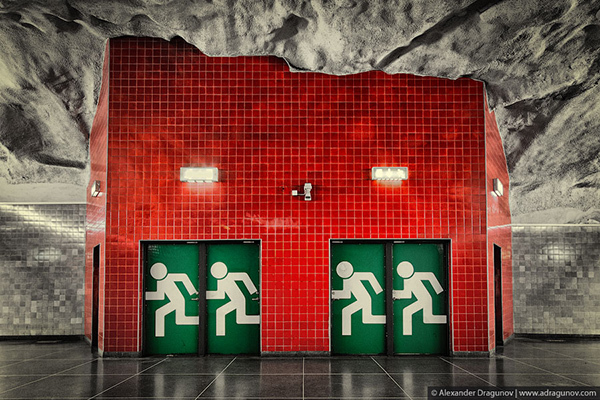 As if he read our minds, Dragunov has done just that. 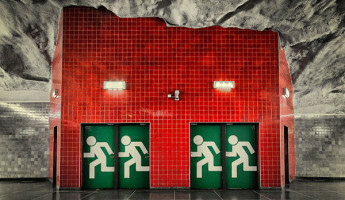 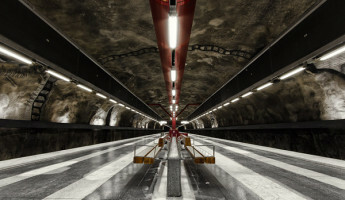 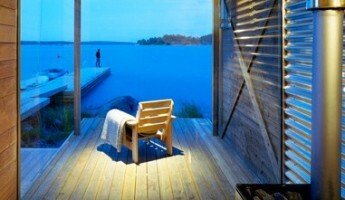 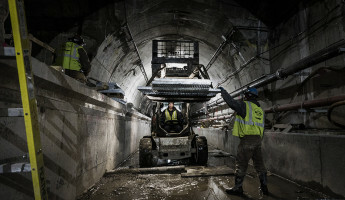 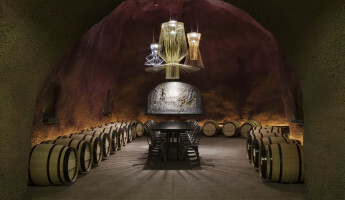 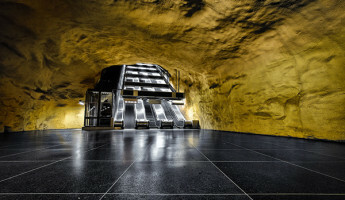 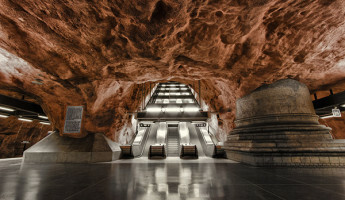 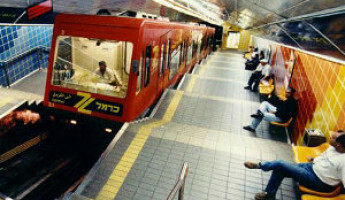 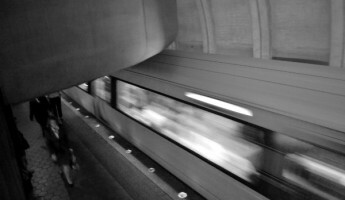 His collection of Stockholm Metro photography is available in his book Tunnelbana, available on Blurb.com for $39.99 USD.